The appeal of U-ratings, discontinuances and grievances have been unfair for a very long time, in my experience. TheE-Accountability Foundation is a nonprofit organization that holds people in positions of power or influence accountable for their actions. In addition to accountability, we support open government at the local, state and national levels, transparency in all business and fiscal policy decisions, and the right to due process. We are writing this letter to express our dismay at what appears to be a lack of fairness and a violation of the due process rights of Mr. Edmond Farrell, a tenured mathematics teacher at John Adams High School in Ozone Park, Queens. We believe that by exposing incidences of due process violations by the New York City Department of Education here in New York City, in the media, and on our Website parentadvocates.org, we can spur change. When we heard that Mr. Farrell had received a year-end rating of “unsatisfactory” (“U-rating”) from Mrs. Grace Zwillenberg, the new principal at John Adams High School, after never receiving any U-ratings before at any school at which he has taught, we began to research due process proceedings, the writing of observation reports, and the process of teacher evaluation. I was given several of Mr. Farrell’s observation reports and met with him several days before his hearing to discuss all the events which had led up to the U-rating. He told me that he believed that the U-rating he has received is arbitrary, capricious, irrational, written in bad faith, and, therefore, totally unjustified and unfair. After reading the memoranda and documents listed below, and after meeting with Mr. Farrell and talking with teachers who know him, I agreed. In all of the material, I found no legitimate “fact” proving incompetence that would warrant the threatening approach that Mrs. Zwillenberg and new Math/Business Assistant Principal Mr. Bahaa Aboughaida seem to be taking. Therefore, I agreed to appear at Mr. Farrell’s November 8, 2004 hearing at the Office of Appeals and Reviews (“OAR”) as a witness to support his appeal of the U-rating on the basis of the violations of due process. I also read a memo from Mr. Reyes Irizarry, Regional Superintendent of Region 4, concerning observation reports. Mr. Irizarry stated, “It is the role of the principal to ensure that the observation process is understood to be a support mechanism to improve teaching and not a punitive exercise." Mr. Farrell’s school, John Adams HS, is located in Region 5, which borders on Region 4. The Regional Superintendent of Region 5 is Kathleen Cashin, and I do not know whether she issued a similar or identical memo to the principals in her region. I also had a copy of Mr. Farrell’s September 16 letter to Chancellor Joel I. Klein, Dr. Elizabeth Arons, and Ms. Virginia Caputo listing Mr. Norman Scott, three lawyers, and me as witnesses for the November 8th hearing. I printed out all the above documents and brought them with me on the morning of November 8. When Mr. Farrell and his UFT adviser, Ms. Patricia Ritter, arrived, Mr. Scott and I prepared to go into the hearing room when the Hearing Officer, Ms. Marianne Alvarez, told us she would not allow either Mr. Scott or me into the room. We were barred from the hearing. I asked why, and was told that she knew nothing about any witnesses, and I simply could not be a witness. The hearing began behind closed doors while Mr. Scott and I sat in the hallway. I attempted to ask what “policy” this was, and could I please just read what this “policy” stated, but Ms. Caputo seemed to believe that I needed to be shouted out of the room. In fact, I believe my asking to see the “policy” that she was claiming barred me from the hearing, infuriated her, because at this point she started yelling at me in a rude, imperious tone of voice to not attempt any further discussion of the issue. I gathered up my papers and left the room, seeing that Ms. Caputo was not going to discuss anything. As I walked down the hallway from her office, I noticed an open door on my left, and walked in. I asked Mr. Greg Brooks to permit me into Mr. Farrell’s hearing, and he, too, started repeating that as I did not work for the Department of Education, I could not be a witness, and that was the “policy.” I again asked to see the “policy” that he was claiming stated this “rule,” but my question seemed to anger him, just as it did Ms. Caputo, and he told me that I would never be a witness. I joined Mr. Scott in the hallway and we sat out the remainder of the hearing there. When the hearing ended, Ms. Alvarez asked Mr. Scott and I into the hearing room for a chat. She told us that, unfortunately, we could not enter the hearing because we did not work for the Department of Education. I reminded her that not only did the material on the conduct of hearings not bar witnesses, or say that all witnesses had to have worked for, or currently be employed by, the Department of Education, but that Mr. Scott had, indeed, been a teacher for many years. She said, again, that it was “policy” to not have witnesses at the appeals hearing!! Was this, indeed, the secret “policy” mentioned by both Ms. Caputo and Mr. Brooks? This statement shocked all of us in the room. This, I believe, is the crux of the matter. If a principal and other supervisors have written observation reports alleging that a teacher’s lesson is unsatisfactory, if the teacher’s intended witnesses are barred from a hearing that purports to investigate the teacher’s competence, and if no rebuttals of any statements made by the teacher’s accusers are permitted entry into the proceedings at some point before the person in the position of judging the matter makes a determination, then we have a biased, unfair, and seriously prejudicial process that cannot and must not be allowed in a democratic society. I, President of The E-Accountability Foundation, write this letter in order to officially protest the unfair violation of due process rights of Mr. Edmond Farrell on November 8, 2004 at the New York City Department of Education’s Office of Appeals and Reviews. In addition we are outraged by the way both Ms. Caputo and Mr. Brooks spoke to me in the OAR office and by their support for some esoteric “policy” that we believe does not exist. We consider their actions at the level of “employee misconduct” and would appreciate both an explanation and an apology to be sent to my attention at the address above at your earliest convenience. We also request that Mr. Farrell be given a fair chance to state his position at a public forum. If the Department of Education does not schedule this forum, The E-Accountability Foundation will. We will also be publishing this letter, and all ensuing letters pertaining to this matter, on our Website, parentadvocates.org. I agreed to appear as a witness for him, along with retired teacher Norm Scott, and we were going to discuss the educational value of the workshop model in a high school setting, as well as the procedures used by Grace Zwillenberg to harm veteran teachers. We were both told that we did not work at the school, so we could not testify. I questioned Ms. Virginia Caputo about her decision, and she screamed me out of her office. I left quietly. Ed lost. I, Edmond Farrell(“Petitioner”), am a tenured mathematics teacher employed by the New York City Department of Education (“DOE”). Petitioner is fully aware of all the facts and circumstances in this case. Petitioner has brought this proceeding pursuant to §310 of the New York State Education Law alleging that Respondent’s actions, including filing a Verified Answer and then a Memorandum of Law written by two different people who do not know the facts and circumstances of this case and never, in any of their papers, say that they do, do not justify or give credence to the “unsatisfactory” rating (“U-rating”) given Petitioner in the 2003-2004 school year. Petitioner is, in fact, an award-winning teacher with satisfactory and excellent ratings throughout his teaching career – including 9 years at John Adams High School - until Mrs.Grace Zwillenberg became Interim Acting and then Principal of this same school. To give a U-rating to an experienced, tenured, and successful teacher is arbitrary, capricious, and simply a pretext, given under color of law as “just cause,” for creating intolerable working conditions for teachers as a result of false claims of unsatisfactory performance. This abuse of process, abuse of discretion and misfeasance is symptomatic of a method for terminating good teachers – those who have been successful in raising achievement scores of their students – in the name of “unsatisfactory performance” based on observation reports, which are simply opinions, in order to end the employment of people who are over the age of 40 or who do not remain silent about this abuse of their right to remain in the classroom and teach a curriculum that is proven to work, that they know how to teach, and teach well. This is, Petitioner alleges, a violation of employment law and his constitutional right to work and speak on issues proven to have reasonable pedagogical purpose. The right to teach a sound, basic educational program, Petitioner alleges, is a property right for the students, who are in school to learn from an experienced teacher and achieve their best. The key to the invalidity of Respondent’s claims is that the curriculum for which Petitioner was subjected to supervisory workplace bullying, harassment, and hazing is an unknown, worthless and unproven math program that harms students who then cannot succeed in the subject. Along with the abuses of process, discretion and misfeasance cited above, is the violation of due process by the Office of Appeals and Reviews Director Ms. Virginia Caputo, and OAR Hearing Officer Marianne Alvarez, both of whose actions are documented in the Verified Petition and Verified Reply, namely prohibiting Petitioner from addressing his grievance in a fair and unbiased hearing, as well as face his accusers. Accordingly, the petition and relief requested must be granted. Clearly, as lesson observation reports do not contain "statistical or factual tabulations or data," they cannot be used to discipline a teacher unless they contain "instructions" that the teacher was alleged to have violated. If lesson observation reports from a school supervisor to a teacher are to have any validity whatsoever, they must contain a recitation of the facts and statistics upon which the "advice, criticisms, evaluations, and recommendations" are based. In addition, if a school supervisor wishes a teacher to take any "corrective action" based on the contents of a lesson observation report, then either the report itself, or a separately issued memorandum or letter, must contain "instructions to staff that affect the public" which the teacher is mandated to implement. (1) Petitioner exercised his right to appeal from a rating other than a satisfactory rating. However, the UFT assigned a non-Attorney, Ms. Patricia Ritter, who refused to speak to Petitioner’s chosen advocate, Ms. Combier, and would not look at any documents pertaining to Petitioner’s case, before the November 8, 2004 Hearing at the Office of Appeals and Reviews, although she did speak briefly with Petitioner. Ms. Ritter asked very few questions, and was not an appropriate advocate for Petitioner in this forum. Ms. Alvarez’ barring of both Ms. Combier and Mr. Scott from the Hearing due to the fact that neither witness worked for the NYC DOE is invalid due to the obvious fact that Ms. Ritter does not work for the NYC DOE either. (3) Mr. Waxman, who is mentioned in the reply as having observed petitioner, was not present at the administrative review, either by telephone or in person. Ms. Alvarez did not seek to question him, yet the U-rating could not have been given, according to the policy and practice of DOE, without an observation report having been submitted by a “superintendent’s representative.” As there was no “superintendent’s representative” at this Hearing, any claims to the validity of the U-rating must be denied, as per Respondent’s own Regulations. (4) Mrs. Zwillenberg and Mr. Aboughaida were not present at the Hearing, but were permitted to simply telephone in their testimony which is an outrageous violation of due process. Petitioner has a Constitutional right to face his accusers as he redresses a grievance. Any testimony given by telephone cannot be verified, as any oath taken over the telephone without a legal representative present at the other end cannot be valid. Witnesses must be seen and not just heard in order for the testimony to have value and in order for the testimony to be verified. (5) It is perfectly clear that Marianne Alvarez’s claim that she did not know anything about Petitioner’s witnesses could only be true if she had never read the copy of Petitioner’s September 16, 2004 letter that had been sent to Ms. Alvarez’s supervisor, Virginia Caputo, at the Office of Appeals and Reviews. All the witnesses were clearly identified by name and address or name and business location in the September 16, 2004 letter, and receipt of this letter by Ms. Caputo is proven by the letter Ms. Sharon Sandra Dunn-Yules of the Queens United Federation of Teachers sent to Ms Caputo on November 3, 2004 advising her of the names of witnesses, and the fax Ms Caputo sent to Ms. Dunn-Yules on November 4, 2004 explaining the witness policy at OAR and denying Petitioner three witnesses from the Office of Legal Services. This provides irrefutable evidence that Ms. Caputo arbitrarily denied Petitioner access to three critical witnesses whom she had summarily determined had no involvement in petitioner’s case. Ms. Alvarez totally disregarded the major arguments in petitioner’s September 16, 2004 letter, thus successfully eliminating any possibility for substantiating any claims. If, it is true, as Respondent states in the Memorandum of Law (p. 9), that “Carmen Farina, Deputy Chancellor, Teaching and Learning, as designee for Joel Klein, Chancellor of the New York City Department of Education, reviewed the Committee’s Report and Recommendation”, why did she not sign it? Ms. Combier supplied a valid copy of Mrs. Farina’s signature from one of many letters she, Ms. Combier, received had in her possession which were signed by Mrs. Farina, and it is very clear that Mrs. Farina did not sign the Recommendation. Petitioner alleges that it is obvious that Mrs. Farina never read the Report, never decided his case, and/or refused to be held accountable for the decision. Did the person who signed for Mrs. Farina have knowledge of the facts and circumstances in this case? The questions that Petitioner asked about Mrs. Farina’s decision were never answered, and thus he alleges that Mrs. Farina will be, nonetheless, held accountable for the decision. The numerous due process violations listed above necessitate the granting of the relief which Petitioner requests. The determination that the Petitioner’s U-rating must be upheld is wholly inconsistent with the facts and circumstances in this case and the deductions that can reasonably be made from the facts and circumstances. ( Barron’s Law Dictionary, 5th Edition, “Abuse of Discretion” 251 N.E. 2d 468, 471; and 458 P. 2d 336, 338, p. 4). The facts are that when Mrs. Zwillenberg was appointed Interim Acting Principal of John Adams High School in September, 2003, she and Petitioner did not agree on several matters. Mrs. Zwillenberg decided, upon information and belief, that she must “get rid of” Petitioner, and arbitrarily decided to use “observation reports” as the way to do it, despite her knowledge that Petitioner was in a protected category, that of age. Mr. Bahaa Aboughaida entered the school at the same time, and immediately gave Petitioner an unsatisfactory observation report in October. This is hardly the actions of someone who desired to work as a Team, and in a cooperative way with a new staff. As Petitioner was a tenured, award-winning teacher at the same school (See Verified Reply Exhibit “J”) for 9 years before Mrs. Zwillenberg started her job as Principal, and during this “pre-Zwillenberg” time Petitioner had consistently received “satisfactory” and “excellent” observation reports. Petitioner’s first Zwillenberg unsatisfactory observation was made less than two months after the beginning of school and shows vindictiveness and malice without justification or excuse. Nothing had changed in Petitioner’s teaching strategies or in the school except for the appointment of Mrs. Zwillenberg as Principal I.A. in September 2003. 99A. 2d 849, 854 (“Malice”, Barron’s Law Dictionary, p. 306) refers to an “intent to cause the very harm that results or some harm of the same general nature, or an act alone in wanton or willful disregard of the plain and strong likelihood that some such harm will result. There is no other circumstance, justification, excuse or recognized mitigation” that could give reason to the situation of a successful career ended so quickly and unfairly. 118 N.W. 2d 422, 425 (Barron’s, p.306). The use of observation reports to discipline teachers in New York State cannot be sustained as valid when used arbitrarily, capriciously and in bad faith against a successful teacher such as Petitioner due to Elentuck v. Green (202 AD2d 425 [2d Dept. ], lv. to appeal denied, 84 NY2d 809 , reargument denied, 85 NY2d 858 ). In this case, the Courts decided that observation reports are simply opinions, not facts or data. If the argument is made that New York State is an “employer” and not an “employee” state, then using observation reports as a tool to rid the NYC DOE of teachers who are terminated because of these opinions used as a pretext may be legally valid in court except in those areas protected by the Federal Government which, in the ultimate forum of debate trumps both local and state laws. Petitioner does fall under the federal protection of age discrimination, and therefore alleges that a case could be made that a teacher’s right to redress false claims made in observation reports fall under Title 42 > Chapter 21 > Subchapter I > § 1983 especially if the administrative proceedings have so many violations of due process as in Farrell v Klein which will be discussed below. The intention to discriminate, once proven, prohibits Respondent from using qualified immunity from damages awards as protection. Coleman v Houston Independent School District, 113 F. 3d 528 (5th Cir. 1997); Mercer v. Hammonds, 134 F. 3d 1066 (11th Cir. 1998). This information should be added to the training manual for Principals on the writing and use of “observation reports” so that no principal will use these observations to terminate the employment of, or harass, good teachers in the future as they will be held accountable for this. LUCILLE GRUBERG, Plaintiff, --against-- THE BOARD OF EDUCATION OF THE SEWANHAKA CENTRAL HIGH SCHOOL DISTRICT, Defendant, CV 96-3042 (ADS), 3 F. Supp. 2d 280; 1998 U.S. Dist. LEXIS 6079; 73 Empl. Prac. Dec. (CCH) P45,395, decided April 27, 1998. (See Exhibit “B”). “The plaintiff accurately characterizes her annual evaluations from the time she began her career through 1990 as "more than satisfactory" and often "exemplary… In 1989, the year after she received such glowing accolades, there was a change in administration at the school. Diane Scricca became the Principal of Elmont Memorial High School and Robert Walsh became the Chair of the English Department. That same year, the plaintiff's annual evaluations suddenly plummeted. While the previous year's evaluations commended Gruberg's classroom management skills, Walsh's October 1990 evaluation criticized the teacher, suggesting that she needed to me more of "a strong classroom leader, firmly in control of the entire class at all times. (Defendant's Ex. E to Memorandum of Law in Support of Summary Judgment Motion). Walsh's evaluation of the plaintiff stated that "several times when questioning or helping a child, you so focused on that child that the remainder of the class was [**4] ignored and they became restless and went off task." He criticized her for such things as momentarily turning her back on the class to provide a tissue for a student, and for taking her eyes off the class when peering into the textbook for information, both of which purportedly lead to "lack of eye contact [which] causes problems." Despite these criticisms, Walsh concluded that Gruberg's lesson was "satisfactory" with the "aim of the lesson being accomplished." The plaintiff alleges that following her evaluation conference with Walsh, he told her that she "really ought to retire" and that "the job is getting to be too much for you and it will only get worse." According to the plaintiff, things, indeed, got much worse for her. The teacher states that "at that point, Mr. Walsh and Ms. Scricca began to make my life impossible in order to force my retirement. I believe, without any doubt whatsoever, that they wanted me to retire because of my age." (Gruberg Aff., P 11). Her evaluations went from glowing in 1989, the year before she began working for Scricca and Walsh, to "mixed," and finally, to "unsatisfactory." By the plaintiff's account, once Scricca and Walsh came into power, she [**5] could not obtain a satisfactory evaluation no matter how hard she tried or whatever she did. "My every move was watched, and every incident the administration thought was improper was documented, no matter how trivial. For example, I was reprimanded for not standing by the door before the bell rang, for allowing my students two minutes at the start of class to settle down, for letting students speak without raising their hands, and for not utilizing the chalk board correctly." (Gruberg Aff., P 13). Her annual performance evaluation for the 1990-1991 school year, while overall satisfactory, noted a "weakness" in her classroom management. The plaintiff alleges that during the following school year, on February 28, 1992, Walsh approached her and said, "Why don't you retire while you still can with dignity?" At the end of the 1991-1992 school year, her annual evaluation was, for the first time in her career, rated "unsatisfactory." (Defendant's Exhibit L). 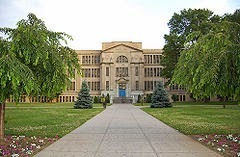 In June of 1992, as a consequence of the poor evaluation, Gruberg was placed under the Board of Education's Administration Regulation 4117.1 ["the Regulation"] for the next school year. A teacher placed on the Regulation is, in essence, [**6] on probation: a "remediation" plan is developed to address and improve those areas in which the teacher is deemed deficient, she is closely monitored by her supervisor, and more than the usual number of classroom observations are conducted to monitor her progress. The defendant explains that "if the remediation plan fails and the teacher's performance remains unsatisfactory, a decision has to be made as to what other action should be taken." If the teacher is not performing at a satisfactory level, one of the options is for the District to "charge" the teacher with incompetency under § 3020a of the New York Education Law, which provides that in order for a tenured teacher to be discharged for "incompetence," the teacher is entitled to notice of specific charges and hearing before a hearing officer. At such a hearing, the burden of proof is on the District to prove the charges, and the teacher is entitled to representation by counsel, to cross-examine witnesses, and to present witnesses in her own behalf. The hearing officer determines whether the [*283] teacher is "guilty" of the charges and what, if any, penalty should be imposed. While still in the defendant's employ, the plaintiff filed [**7] age discrimination charges with the New York State Division of Human Rights. On August 4, 1992, following a hearing at which the defendant was represented by counsel and the plaintiff proceeded pro se, the State Division rendered a probable cause determination stating that the purported legitimate business reasons provided by the School District for her treatment were pretextual, and that she was discriminated against based on her age. When the plaintiff returned to work at the beginning of the 1992-1993 school year, she continued to teach under the remediation plan. However, in the plaintiff's words, from then on, Walsh and Scricca constantly "demoralized, belittled, intimidated and [eventually] coerced me into resigning. They did this by singling me out and subjecting me to a standard of review unequal [to] that of any other teacher similarly situated in the District. They engaged in a deliberate and punitive course of conduct designed to force me to resign because of my age. . . . I worked under constant unwarranted criticism and the threats of an incompetency hearing. I was plagued with numerous requests to retire." (Gruberg Aff., P 31). The plaintiff contends, the defendants [**8] "created working conditions for me that were so intolerable that I was forced to tender my resignation in April 1994, effective in June 1994.’ (Gruberg Aff., P 29). ”The plaintiff contends that she has satisfied the "discharge" element of her employment discrimination claim by proffering evidence that she was "constructively discharged." Constructive discharge of an employee occurs when an employer, rather than directly discharging an individual, intentionally creates an intolerable work atmosphere that forces an employee to quit involuntarily. See Pena v. Brattleboro Retreat, 702 F.2d 322, 325 (2d Cir. 1983). Working conditions are intolerable if they are "so difficult or unpleasant that a reasonable person in the employee's shoes would have felt compelled to resign." Lopez, 831 F.2d 1184 at 1188 (quoting Alicea Rosado v. Garcia Santiago, 562 F.2d 114, 119 [1st Cir. 1977]). In the Court's view, Gruberg has presented evidence sufficient to raise a material triable issue on the question of constructive discharge. The "plaintiff's proof allows [**14] the inference that she was treated arbitrarily and severely criticized despite her strong [*285] performance. A fact finder could infer, from the facts set forth in the affidavits and deposition testimony, that plaintiff was among the most competent employees in the [school]. . . . [A] reasonable person in [Gruberg's] position might have inferred from the circumstances, including the onslaught of unfounded criticism coupled with the threat of [an incompetency hearing and repeated demands that she retire], that she was compelled to leave. . . . Viewed as a whole, the facts in the case at hand, if proven, would permit a finder of fact to conclude that [Gruberg] was forced to resign." Chertkova v. Connecticut General Life Insurance Co., 92 F.3d at 92. "While the Court recognizes that a disagreement with management over the quality of an employee's performance will not suffice to establish a constructive discharge. . . . here there is more than a disagreement over quality. Plaintiff's evidence suggests her supervisor[s] engaged in a pattern of baseless criticisms, [repeatedly demanded her retirement, and threatened to bring her up on incompetency charges, a precursor to her discharge.] . . . [A] reasonable person in [Gruberg's] position might have inferred from the circumstances, including the onslaught of unfounded criticism coupled with the threat of [a] termination [hearing], that she was compelled to leave. DISPOSITION: [**1] Defendants' motion for summary judgment denied. COUNSEL: Robert M. Rosen, Esq., Delvis Melendez, Esq., Of Counsel, ROSEN, LEFF, ATTORNEYS, Hempstead, New York, for Lucille Gruberg, Plaintiff. Stanley a. Camhi, Esq., Carrie Preble, Esq., Of Counsel, JASPAN, SCHLESINGER, SILVERMAN & HOFFMAN, LLP, Garden City, New York, for Sewanhaka Central High School District, Defendant. JUDGES: Hon. Arthur D. Spatt, United States District Judge. This matter arises from the claims of the plaintiff, Lucille Gruberg ("Gruberg" or "the plaintiff'), under the Age Discrimination in Employment Act of 1967, as amended, 29 U.S.C. § 621 et seq. ("ADEA"), and New York State Executive Law §§ 296 and 297. Presently before the Court is the defendant's motion for summary judgment pursuant to Rule 56 of the Federal Rules of Civil Procedure. Mrs. Lucille Gruberg is an experienced and knowledgeable teacher of English.
. . . Mrs. Gruberg planned lessons that would not only cover the many facets of the English courses of study but would also stretch students' minds. For her English 12 and 12NR students, especially, Mrs. Gruberg continually searched for stimulating materials that would force these students to think about what they wanted out of life and how to respond to the challenges that life offered. Mrs. Gruberg is a caring teacher who tries to help students to reach their potential. She sets high standards for her classes and is completely in control of her students and her lesson. She respects her students, and they respect her. Mrs. Gruberg is always willing to try out new ideas and approaches to encourage her students [**3] to write with confidence and to write better. . . .
Mrs. Gruberg is a responsible member of the English Department, performing her various duties effectively and conscientiously. [*282] This has been an excellent, productive year for Mrs. Gruberg. (Plaintiff's Ex. B. Memorandum of Law in Opposition to Defendant's Motion for Summary Judgment)(emphasis added). In 1989, the year after she received such glowing accolades, there was a change in administration at the school. Diane Scricca became the Principal of Elmont Memorial High School and Robert Walsh became the Chair of the English Department. That same year, the plaintiff's annual evaluations suddenly plummeted. While the previous year's evaluations commended Gruberg's classroom management skills, Walsh's October 1990 evaluation criticized the teacher, suggesting that she needed to me more of "a strong classroom leader, firmly in control of the entire class at all times." (Defendant's Ex. E to Memorandum of Law in Support of Summary Judgment Motion). Walsh's evaluation of the plaintiff stated that "several times when questioning or helping a child, you so focused on that child that the remainder of the class was [**4] ignored and they became restless and went off task." He criticized her for such things as momentarily turning her back on the class to provide a tissue for a student, and for taking her eyes off the class when peering into the textbook for information, both of which purportedly lead to "lack of eye contact [which] causes problems." Despite these criticisms, Walsh concluded that Gruberg's lesson was "satisfactory" with the "aim of the lesson being accomplished." The plaintiff alleges that following her evaluation conference with Walsh, he told her that she "really ought to retire" and that "the job is getting to be too much for you and it will only get worse." When the plaintiff returned to work at the beginning of the 1992-1993 school year, she continued to teach under the remediation plan. However, in the plaintiff's words, from then on, Walsh and Scricca constantly "demoralized, belittled, intimidated and [eventually] coerced me into resigning. They did this by singling me out and subjecting me to a standard of review unequal [to] that of any other teacher similarly situated in the District. They engaged in a deliberate and punitive course of conduct designed to force me to resign because of my age. . . . I worked under constant unwarranted criticism and the threats of an incompetency hearing. I was plagued with numerous requests to retire." (Gruberg Aff., P 31). The plaintiff contends, the defendants [**8] "created working conditions for me that were so intolerable that I was forced to tender my resignation in April 1994, effective in June 1994." (Gruberg Aff., P 29). According to the plaintiff, the defendant's treatment of her was part of a broader discriminatory pattern and practice of ousting older teachers by placing them on the District's Administrative Regulation 4117.1, for purposes of eventually replacing them with younger teachers who are paid less. The plaintiff has named ten other teachers in the district who also were subjected to the Regulation, four of whom also resigned, allegedly as a consequence of being placed on the Regulation and being subjected to treatment similar to that described by Gruberg. A district court may grant summary judgment only if the evidence, viewed in the light most favorable to the party opposing the motion, presents no genuine issue of material fact, Samuels v. Mockry, 77 F.3d 34, 35 (2d Cir. 1996), and the movant is entitled to judgment as a matter of law. See Anderson v. Liberty Lobby, Inc., 477 U.S. 242, 248, 91 L. Ed. 2d 202, 106 S. Ct. 2505 (1986). The Court must, however, [**9] resolve all ambiguities and draw all reasonable inferences in the light most favorable to the party opposing the motion. See Quaratino v. Tiffany & Co., 71 F.3d 58, 64 (2d Cir. 1995). A genuine issue of material fact exists if "a reasonable jury could return a verdict for the nonmoving party." Vann v. City of New York, 72 F.3d 1040 (2d Cir. 1995). Mere conclusory allegations, speculation or conjecture will not avail a party resisting summary judgment. Kulak v. City of New York, 88 F.3d 63, 71 (2d Cir. 1996). If there is evidence in the record as to any material fact from which an inference could be drawn in favor of the non-movant, summary judgment is unavailable. Holt v. KMI-Continental, Inc., 95 F.3d 123, 128 (2d Cir. 1996), cert. denied, 520 U.S. 1228, 117 S. Ct. 1819, 137 L. Ed. 2d 1027 (1997); Rattner v. Netburn, 930 F.2d 204, 209 (2d Cir. 1991). The District Court is charged with the function of "issue finding", not "issue resolution." Gallo v. Prudential Residential Servs., Ltd. Partnership, 22 F.3d 1219, 1224 (2d Cir. 1994). Finally, the Court of Appeals has warned that trial courts must be especially cautious about granting summary judgment in discrimination [**10] cases, because in such cases the employer's intent is ordinarily at issue. See, e.g., Gallo, 22 F.3d at 1224. Since it is rare to find in an employer's records direct proof that a personnel decision was made for a discriminatory reason, whatever other relevant depositions, affidavits and materials are before the district court must be carefully scrutinized for circumstantial evidence that could support an inference of discrimination. See Chambers v. TRM Copy Ctrs. Corp., 43 F.3d 29, 37 (2d Cir. 1994). [*284] It is within this framework that the Court addresses the grounds for the present motion for summary judgment. The ADEA provides, in relevant part, that it is "unlawful for an employer . . . to discharge any individual or otherwise discriminate against any individual with respect to his compensation, terms, conditions, or privileges of employment, because of such individual's age." 29 U.S.C. § 623(a)(1). At trial, it is the plaintiff's burden to prove employment discrimination on the basis of age. Gallo, 22 F.3d at 1224. The Court notes that age discrimination claims brought under the New York State Human Rights Law, N.Y.Exec.Law §§ 290-301, [**11] are governed by the same standards as those brought under the ADEA. Wanamaker v. Columbian Rope Co., 108 F.3d 462, 467 (2d Cir. 1997); Spence v. Maryland Casualty Co., 995 F.2d 1147, 1158 (2d Cir. 1993). A plaintiff asserting an age discrimination claim must meet an initial burden of presenting evidence sufficient to establish a prima facie case of the alleged violation of ADEA. St. Mary's Honor Center v. Hicks, 509 U.S. 502, 506, 113 S. Ct. 2742, 2746-47, 125 L. Ed. 2d 407 (1993); Texas Dep't of Community Affairs v. Burdine, 450 U.S. 248, 252-53, 101 S. Ct. 1089, 1093-94, 67 L. Ed. 2d 207 (1981); McDonnell Douglas Corp. v. Green, 411 U.S. 792, 802, 93 S. Ct. 1817, 1824, 36 L. Ed. 2d 668 (1973); Cronin v. Aetna Life Ins. Co., 46 F.3d 196, 203 (2d Cir. 1995). Once the plaintiff establishes a prima facie case, the burden shifts to the employer to rebut it through the introduction of evidence of non-discriminatory reasons that support a finding that unlawful discrimination was not the cause of the discharge. Hicks, 509 U.S. at 506-07, 113 S. Ct. at 2746-47; Cronin, 46 F.3d at 203. The plaintiff retains the 'ultimate burden of persuasion" and the burden [**12] of proof to demonstrate that the challenged employment action was the result of intentional age discrimination. Hicks, 509 U.S. at 511, 113 S. Ct. at 2749; Cronin, 46 F.3d at 203. Since, in this case, the plaintiff resigned, she also has the burden of proving a "constructive discharge." A prima facie case of discharge resulting from age discrimination is established if the plaintiff shows, through direct or circumstantial evidence, that: (1) she was within the protected age group; (2) she was qualified for the position; (3) she was discharged; and (4) the discharge occurred under circumstances giving rise to an inference of discrimination. Cronin, 46 F.3d at 204. To defeat a defendant's motion for summary judgment, the plaintiff need only show that there is a material issue of fact as to whether (1) the employer's asserted reason for discharge is false or unworthy of belief; and (2) it is more likely than not that an unlawful basis of discharge was the true reason. Chertkova v. Connecticut General Life Insurance Co., 92 F.3d 81, 92 (2d Cir. 1996). The parties agree that the plaintiff was within the protected age group. Instead, the disputed issues in this case center [**13] on whether: (1) the plaintiff can establish that she was "discharged"; (2) the "discharge" occurred under circumstances giving rise to an inference of age discrimination; and (3) the defendant had legitimate, non-discriminatory reasons for the employment actions taken. The plaintiff contends that she has satisfied the "discharge" element of her employment discrimination claim by proffering evidence that she was "constructively discharged." Constructive discharge of an employee occurs when an employer, rather than directly discharging an individual, intentionally creates an intolerable work atmosphere that forces an employee to quit involuntarily. See Pena v. Brattleboro Retreat, 702 F.2d 322, 325 (2d Cir. 1983). Working conditions are intolerable if they are "so difficult or unpleasant that a reasonable person in the employee's shoes would have felt compelled to resign." Lopez, 831 F.2d 1184 at 1188 (quoting Alicea Rosado v. Garcia Santiago, 562 F.2d 114, 119 [1st Cir. 1977]). The Court finds that there are myriad triable issues of material fact with respect to the issue of constructive discharge. [**16] Accordingly, the defendant's motion for summary judgment as to that issue is denied. The Court also concludes that this case is replete with genuine issues of material fact with respect to the defendant's asserted reasons for their employment decisions, and whether it is more likely than not that the defendant was motivated by the plaintiff's age. The Court begins with the plaintiff's age, a robust seventy-three. Additionally, in the Court's opinion, the plaintiff has presented substantial circumstantial evidence that the defendant sought to oust her due to her age. Just one year before Walsh and Scricca assumed power, she received a stellar annual review which commended her superior classroom management, innovative teaching style, and inspiring lectures. One year later, the same teacher was criticized for poor classroom control, and purported inability to capture her students' attention. In addition to this circumstantial proof, the plaintiff has alleged that Walsh and Scricca made various statements evidencing their improper motivation -- remarks such as that she "really ought to retire" and that "the job is [**17] getting to be too much for you and it will only get worse." Such classic, key statements are thinly veiled references to the plaintiff's age -- or so a jury reasonably could find. While the defendant asserts that the reason for the sudden, drastic change in the plaintiff's evaluation was due to Walsh's practice of conducting unannounced evaluations, in contrast to his predecessor's preference to forewarn teachers of any observations, this merely underscores the presence of material issues of fact as to the reasons for the defendant's employment decisions. In addition, the plaintiff has raised the specter of a discriminatory pattern and practice of forcing out older teachers by placing them on the District's Administrative Regulation 4117.1, only to replace them with younger teachers who, interestingly, command less salaries. In fact, the plaintiff has named ten other teachers within the district who [*286] also were subjected to such treatment, four of whom resigned while on the Regulation remediation plan. Moreover, the plaintiff states that she was replaced with a teacher approximately twenty to thirty years her junior who was entitled to a much lower salary than the plaintiff earned. [**18] This latter assertion also raises a classic factual issue in an age discrimination case. In sum, the Court concludes that this case is loaded with genuine issues of material fact. For this reason, and in view of the Second Circuit's directive that the plaintiff's burden of establishing a prima facie case in a discrimination suit is "de minimis," Chambers, 43 F.3d at 37, the defendant's motion for summary judgment is denied in all respects. ORDERED, that the defendants' motion for summary judgment is denied. Throughout the State of New York, teachers are not required to implement advice, recommendations, suggestions, and the like, even if they originate from supervisory personnel. Furthermore, teachers may not be rated “unsatisfactory,” or otherwise disciplined, for an alleged failure to implement such. The undated material, “Teaching for the 21st Century,” submitted by respondent as Exhibit 8, which, significantly, was missing Appendix B in its entirety, and several of the “credit pages,” was promulgated a number of years prior to the passage of §100.2(o)(2). Nonetheless, the material contained the statement on page A8: “A new professional performance review report for New York City public school teachers will replace form BE/DOP 9955B (5/87) and be the official performance review document placed in a teacher’s personnel file.” Clearly, an examination of petitioner’s rating form for the 2003-2004 school year reveals that form BE/DOP 9955B (5/87) is still in use. "The terms 'arbitrary' and 'capricious' embrace a concept which emerges from the due process clauses of the Fifth and Fourteenth Amendments of the United States Constitution and operates to guarantee that the acts of government will be grounded on established legal principles and have a rational factual basis. A decision is arbitrary or capricious when it is not supported by evidence or when there is no reasonable justification for the decision." No “statistical or factual tabulations or data” or “instructions to staff that affect the public” pertaining to petitioner’s 2003-2004 teaching service were served upon petitioner prior to the U-rating hearing. No “statistical or factual tabulations or data” or “instructions to staff that affect the public” pertaining to petitioner’s 2003-2004 teaching service were presented to petitioner during the U-rating hearing. No “statistical or factual tabulations or data” or “instructions to staff that affect the public” pertaining to petitioner’s 2003-2004 teaching service were presented to Joel I. Klein or Carmen Fariña after the U-rating hearing had concluded, and prior to the November 29, 2004 personalized form letter being generated. The Commissioner of Education order respondent Klein to vacate Petitioner’s “Unsatisfactory” rating, and to direct that a “Satisfactory” rating be substituted therefor. The Commissioner of Education order the Panel for Educational Policy to take all necessary actions to promptly implement §100.2(o) (2) of the Regulations of the Commissioner of Education. The Commissioner of Education order the Panel for Educational Policy to revise its By-laws to ensure that employees receive due process at administrative reviews. The Commissioner of Education order Virginia Caputo to revise the staff manuals of the Office of Appeals and Reviews so that employees and Union officials are accorded, and are properly informed of, due process procedures. The Commissioner of Education order audits of the Panel for Educational Policy to ensure that §100.2(o)(2) of the Commissioner’s Regulations is being fully complied with, to forward one copy of the report of each audit to the New York State Education Department, and to post the audit reports on New York City’s official Website. The Commissioner of Education order the Panel for Educational Policy to revise its By-laws to ensure that teachers are furnished a copy of the hearing panel report, and that they be given an appropriate time period to respond in writing, before the report is forwarded to the Chancellor for final decision on the matter. The Commissioner of Education order respondent Klein to ensure that either he, personally, or his designee, personally, sign decision letters in the future, and that no initialed signatures are permissible. The Commissioner order the Panel for Educational Policy to develop written procedures guaranteeing that the decision of the Chancellor, or the Chancellor’s designee, is appealable to the full Panel, in a manner reflective of fundamental due process. An opportunity to present oral argument before the Commissioner. 8. Such other relief as the Commissioner deems just and proper. For the reasons set forth herein, and in petitioner’s verified petition, verified reply, and the exhibits annexed to both, petitioner respectfully requests that the petition be granted and the relief requested therein be granted in all respects. Appeal of EDMOND FARRELL from action of the New York City Department of Education and Chancellor Joel I. Klein regarding an unsatisfactory rating. MILLS, Commissioner.--Petitioner challenges an unsatisfactory rating for his teaching performance during the 2003-2004 school year. The appeal must be dismissed. During the 2003-2004 school year, petitioner was a tenured mathematics teacher at John Adams High School, a public school now operated by the New York City Department of Education. Petitioner has taught there since September 1994, and for nine consecutive years received satisfactory ratings from two different principals. In 2003-2004, Grace Zwillenberg, who had been an administrator at the school, became interim acting principal and later principal. During that school year, petitioner was observed on six different occasions by various administrators, from October 21, 2003 through June 7, 2004. On each occasion, the reviewers considered his performance unsatisfactory. At the end of that school year, petitioner received an unsatisfactory rating for the year. Petitioner appealed the rating pursuant to district bylaws. On November 8, 2004, a Chancellor's Administrative Review Committee ("Committee") chaired by Marianne Alvarez convened to hear petitioner's appeal. Petitioner was accompanied by a representative of the United Federation of Teachers, who was not an attorney. The Committee received testimony by telephone from Principal Zwillenberg and from Math/Business Assistant Principal Bahaa Aboughaida. Petitioner also testified, and introduced 24 documents. Chairperson Alvarez ruled that certain witnesses proposed by petitioner would not be heard. Please be advised that the appeal of Mr. Edmond Farrell from the rating of "Unsatisfactory" for the period ending June 2004 has been denied and the said rating is sustained as a consequence of ratings on the annual review form, testimony at the Review and failure to provide an acceptable level of instructional service for the students in his charge. Petitioner states that he received this letter on December 3, 2004. He commenced this appeal on December 30, 2004. Petitioner asks that I vacate the unsatisfactory rating and direct respondents to rate him satisfactory for the 2003-2004 school year. Petitioner contends, among other things, that the Chancellor's determination was arbitrary, capricious, and in bad faith. Petitioner further claims that he had no legal or contractual obligation to implement the suggestions made by reviewers throughout the year. He maintains that he was never given a copy of the professional performance review plan upon which he was rated, and claims that the review plan did not comply with �100.2(o)(2) of the Commissioner' s regulations. He also claims that the Committee deprived him of due process because he was not represented by counsel, his witnesses were not allowed to testify, and two of respondents' witnesses were allowed to testify by telephone. Respondents deny petitioner's claims, and contend that the observations, the unsatisfactory rating, the review process, and the Chancellor's final determination all complied with law. Before considering the merits, I must comment on certain materials submitted by petitioner, beginning with his reply. The purpose of a reply is to respond to new material or affirmative defenses set forth in an answer (8 NYCRR ��275.3 and 275.14). A reply is not meant to buttress allegations in the petition or to belatedly add assertions that should have been in the petition (Appeal of Schildhorn, 44 Ed Dept Rep 212, Decision No. 15,152; Appeal of Kirschenbaum, 43 id. 366, Decision No. 15,020; Appeal of Hollister, 39 id. 109, Decision No. 14,188). Therefore, while I have reviewed the reply, I have not considered those portions containing new allegations or exhibits that are not responsive to new material or affirmative defenses set forth in the answer. Petitioner also requests that I consider a videotape of an appearance by petitioner on a television newscast and a copy of his annual performance review for the 2004-2005 school year. Petitioner has not shown that these additional materials relate to the subject matter of this appeal. Consequently, I have not considered them. With respect to appeals challenging unsatisfactory ratings, in the absence of a showing of malice, prejudice, bad faith or gross error, the Commissioner will not substitute his judgment for that of the Chancellor (Appeal of Bristol, 33 Ed Dept Rep 202; Matter of Taylor, 23 id. 482). Petitioner has the burden of establishing the facts upon which he or she seeks relief (Appeal of Marek, 35 Ed Dept Rep 314; Appeal of Nash, 35 id. 203; Appeal of Goldman, 35 id. 126) and the burden of demonstrating a clear legal right to the relief requested (Appeal of Marek, supra; Appeal of Nash, supra; Appeal of DiMicelli, 28 Ed Dept Rep 327). (see alsoAppeal of Schreiber, 44 Ed Dept Rep ___, Decision No. 15,209, in which I adhered to that standard). Petitioner claims that his unsatisfactory rating of June 28, 2004, which was upheld by the Chancellor's designee on November 29, 2004, was arbitrary and capricious, and was issued in bad faith. Respondents have provided the actual observation reports from six occasions during the 2003-2004 school year. They provide substantial factual detail regarding the lessons presented, the behavior of petitioner, his performance as a teacher, and the actions of his students. Aside from differences over teaching methodology, it is clear that many deficiencies are documented. For example, petitioner had poor control of the class, in that students were allowed to enter late, move about the room, and leave the room at will, without any consequences. The observers noted that the lessons were "teacher dominated" and that there was little opportunity for students to become actively engaged in the lessons being observed. Each observation report contains suggestions for improvement of petitioner's performance. However, petitioner has taken the position that he is not legally obligated to follow suggestions given, but only to obey directives. Petitioner fails to understand that the repeated failure to follow suggestions to improve invites a continuing series of unsatisfactory evaluations. Petitioner also claims that respondents have not complied with �100.2(o)(2) of the Commissioner's regulations in adopting evaluation standards, and claims that he was never provided with the applicable standards. Respondents state unequivocally that the evaluation procedures are in compliance with the regulation, that the applicable standards are found in a document entitled "Teaching for the 21st Century," and that Article 8J of the Collective Bargaining Agreement between respondent Department and the United Federation of Teachers specifies that the "entire agreement with respect to the system of evaluation of pedagogical employees is embodied" in that document. As with any governmental action, there is a presumption of regularity that such action is and was taken in a legal fashion (57 NY Jur 2d, Evidence and Witnesses, ��118-121; Matter of Rickett v. Hackbarth, 98 Misc 2d 790; Matter of Leichter v. Barrett, 208 Misc 577). Petitioner provides no facts that would rebut the presumption, and does not allege that respondents were obligated to provide him with his own copy of that document. In any event, I note that the evaluation at issue in this appeal is based upon the same factors and the same evaluation form as used in the previous nine years, and I find that petitioner was sufficiently informed as to the standards which would be used to evaluate him. With respect to the hearing by the Committee, I do not find that petitioner was deprived of due process. While there appeared to be some confusion as to whether or not petitioner could be represented by counsel, in fact his union, the United Federation of Teachers, appointed a non- attorney to represent him. This is a matter between petitioner and his union, and, after reviewing the hearing transcript, I cannot say that he was not adequately represented. Prior to the hearing, the union advised Virginia Caputo, the Director of the Office of Appeals and Reviews, that petitioner wished to call six witnesses, three of whom were attorneys for the Department of Education who had no connection with his case. Caputo advised that the attorneys would not be proper witnesses, and petitioner did not seriously pursue that issue at the hearing. Petitioner also wanted to call Irving Schachter, a retired teacher, who was not present at the hearing, Norman Scott, a retired teacher, and Betsy Combier, both of whom were outside the hearing room. Petitioner did not press to have Schachter testify. The chairperson examined Combier briefly, determined that she had no personal knowledge of the case, and ruled that she could therefore not testify. With respect to Scott, the chairperson may have improperly excluded him on the ground that he was not on the witness list, when in fact his name did go to Caputo. However, as respondents point out, Mr. Scott never worked at John Adams High School, and it seems doubtful that he could have had any personal knowledge that would have added any relevant information. Petitioner has not indicated what Scott would have said if he had been permitted to testify, and I must conclude that, while this may have been error, it was not serious or material error. Petitioner also claims that Principal Zwillenberg and Assistant Principal Aboughaida were permitted to testify by telephone, depriving petitioner of the opportunity to observe their demeaner as they testified. Although I recognize the importance of cross examination, it is clear that �4.3.3 of the By-laws of the Panel for Educational Policy of the Department of Education of the City School District of the City of New York permits such a practice: "Nothing herein shall preclude witnesses from appearing at review proceedings by teleconference or other technological means." In sum, I cannot conclude that petitioner was deprived of due process at the hearing. A petition must contain "a clear and concise statement of the petitioner's claim showing that the petitioner is entitled to relief, and shall further contain a demand for the relief to which the petitioner deems himself entitled" (8 NYCRR �275.10). Such statement must be sufficiently clear to advise a respondent of the nature of petitioner's claim and of the specific act or acts complained of (id.). Where petitioner is not represented by counsel, a liberal interpretation of this regulation is appropriate absent prejudice to the opposing party (Appeal of Darrow, 43 Ed Dept Rep 394, Decision No. 15,029; Appeal of Eckert, 40 id. 433, Decision No. 14,520). Where a petition fails to state a comprehensible claim and fails to identify the specific remedy sought, it will be dismissed (seeAppeal of Darrow, 43 Ed Dept Rep 394, Decision No. 15,029; Appeal of Stephen and Roseanne W., 39 id. 808, Decision No. 14,388). The petition in this matter claims that the unsatisfactory rating was arbitrary, capricious, irrational, and issued in bad faith. However, the only specific allegation in the petition is that the chairperson was biased in favor of Principal Zwillenberg, as indicated by an off-the-record remark allegedly made after the conclusion of the hearing. As a result, petitioner has not submitted any evidence of actual bias sufficient to warrant reversal of the unsatisfactory rating based upon bias. It appears that the real basis for petitioner's challenge to his unsatisfactory rating is stated in his memorandum of law, which improperly offers new allegations. A memorandum of law should consist of arguments of law (8 NYCRR �276.4). It may not be used to add belated assertions or exhibits that are not part of the pleadings (Appeal of Schultz, 45 Ed Dept Rep ____, Decision No. 15,242; Appeal of N.L., 44 id. 216, Decision No. 15,153; Appeal of Smolen, 43 id. 296, Decision No. 15,000). On page 12 of his memorandum, petitioner alleges that he and Principal Zwillenberg had a history of prior disputes that originated from a time when Mrs. Zwillenberg was an assistant principal. Petitioner states that he believes Zwillenberg decided that she must "get rid of" petitioner and decided to do that by the use of unfavorable observation reports, despite her knowledge that petitioner was "in a protected category, that of age." On page three, petitioner states that he came to realize that Mrs. Zwillenberg and Mr. Aboughaida "were out to get him." Petitioner followed these remarks with approximately eight pages of argument relating to age discrimination against teachers in respondents' district and elsewhere, including lengthy quotes from a federal court decision and a Public Employees Relations Board decision. If, indeed, this is the true basis of petitioner' s complaint, it should have been included in the petition, under oath, allowing respondents to answer the claim, rather than alleged in unsworn form in a memorandum of law which respondents had no opportunity to answer. In conclusion, petitioner has failed to meet his burden of proof that the unsatisfactory rating assigned to him was the result of malice, prejudice, bad faith, or gross error, and I will not substitute my judgment for that of the Chancellor. In view of this disposition, I need not consider the parties' other claims, which I find without merit.